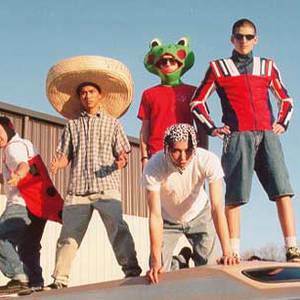 Ghoti Hook was a pop-punk band from Fairfax, Virginia. The band was formed in 1991, with band members Joel Bell, Conrad Tolosa, Jamie Tolosa, Christian Ergueta, and Adam Neubauer. The group released two independent EPs in 1994 and 1995. Ghoti Hook signed to Tooth and Nail Records in 1996, then released two albums: Sumo Surprise and Banana Man. Conrad, the guitarist and a main songwriter of the band, decided to leave Ghoti Hook when the band began to tour full time so he could finish seminary and continue with his accounting career. Conrad, the guitarist and a main songwriter of the band, decided to leave Ghoti Hook when the band began to tour full time so he could finish seminary and continue with his accounting career. He has been running a website, www.decapolis.com and is doing quite well with it. After the cover album Songs We Didn't Write, Mark Lacasse joined the lineup as the band's sound evolved from punk toward rock on their next album, Two Years to Never. The album also marked a shift to more serious, reflective lyrics. Christian Ergueta left the band soon after; Mark left shortly thereafter. As a three-piece band, Ghoti Hook released a six song EP titled EP on Velvet Blue Music. The group disbanded in 2002. The band has said on occasion that they would rather forget their pop punk days and that Ghoti Hook never really started until they changed their sound. The band's last concert was at Cornerstone Music Festival on July 6, 2002, with guest performances by both Conrad and Mark. The concert was recorded and released as a live album entitled Rest In Peace. Their final show can now be viewed in its entirety on YouTube.